AGR Automation offer the full robot range covering all industries and applications . Each need is different, but the requirement levels remain the same. 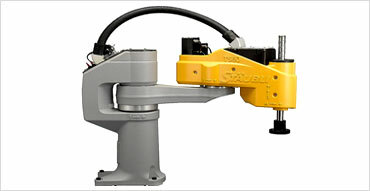 Over an extended range, Utilising Stäubli robots with its technical advantages of arm compactness, broad working envelopes, high speed, precision, resistance to all types of environments and, above all, adaptability to the largest number of tasks, AGR Automation can provide complete Robotic systems and modules. SCARA robots can be floor or wall mounted depending on the application requirements. Adept and other manufacturers robots are utilised where the application suits.